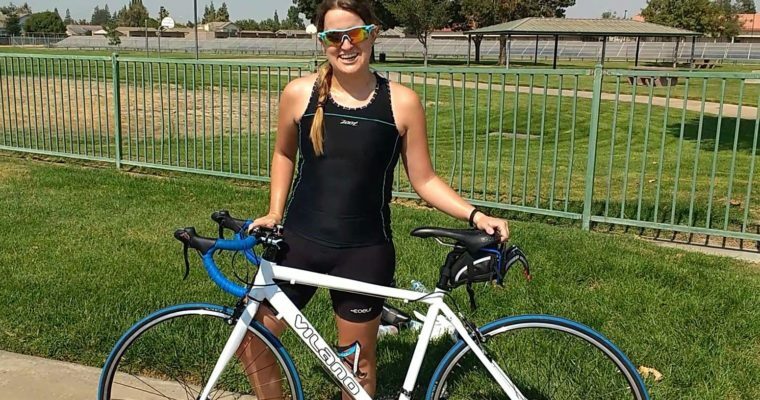 Things I learned On My First 50 Mile Ride Outdoors. Fall is here and with it come loads of hearty comfort foods. I love mashed potatoes, I could eat them every day, but sometimes I don’t need the extra carbs or calories. I instead reach for my favorite alternative Mashed Cauliflower. 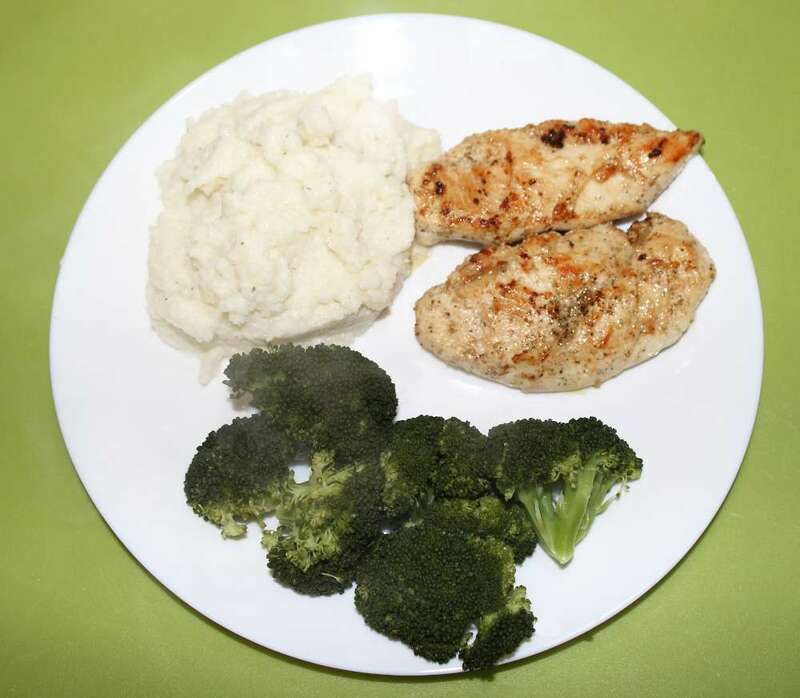 The consistency is close to mashed potatoes, although not a perfect match and it tastes great. 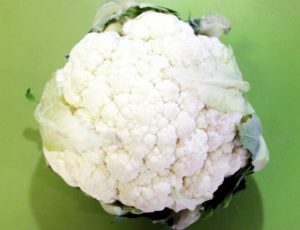 If you have picky kids, this is a great way to sneak in some veggies, they’ll never know it’s cauliflower. 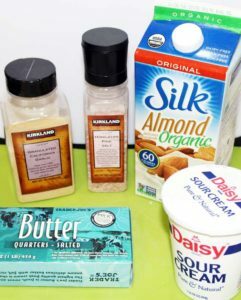 My recipe calls for butter and sour cream, but can be made vegan by subbing with vegan sour cream and olive oil instead of butter. 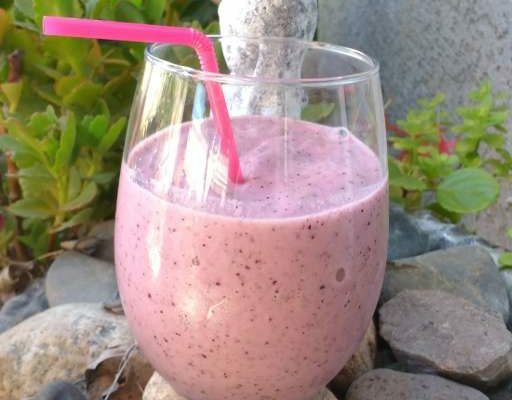 This recipe packs a whopping 108 calories per serving and makes a great side to nearly any meal. 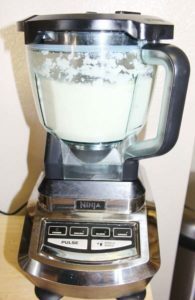 I use my Ninja food processor to “mash” the cauliflower. If you don’t have a food processor, you can smash it by hand (I’ve done it), but the plant fibers won’t break down quite as fine as they will in a food processor. 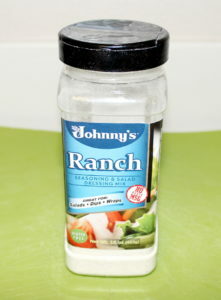 If you’re looking for different flavors, try adding some ranch flavoring, I get dry ranch seasoning at Costco and it makes mashed cauliflower and mashed potatoes taste great! Any ingredient you’d use to season regular mashed potatoes can be used in mashed cauliflower, go wild! 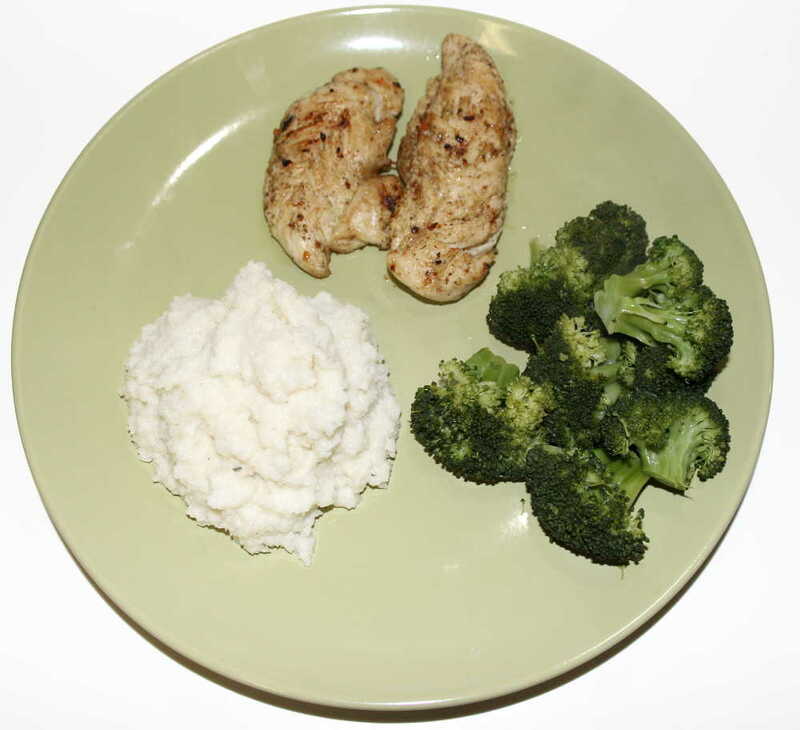 Easy, healthy, low carb alternative to mashed potatoes. Step 7 Top with butter or gravy if desired. 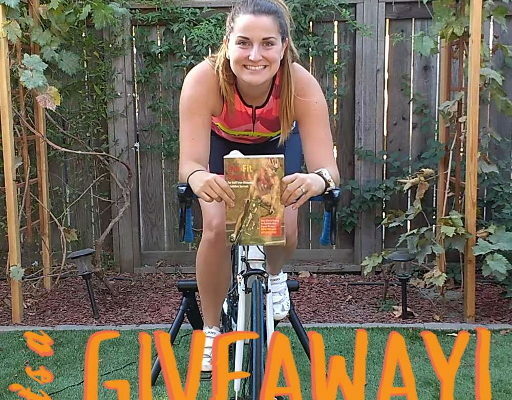 Getting ready for your first race ever? Do you stress out over race day prep? I’ve done quite a few races and have gotten my routine down to a science. 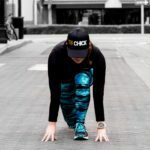 Whether I’m racing a 5k, half marathon or a tri, my race day prep is always the same, plus or minus a few pieces of gear. Check List – Make yourself a checklist of everything you will need to bring with you to the race, including extra clothes and shoes for after the race. This should all be packed and ready to go the night before, but having a list that you can check off as you’re packing your car can be very helpful. I place my lists right on top of my gear and start checking things off as soon as I do them. Lay out Gear and Nutrition the Night Before – I lay out my shoes, socks, kit, nutrition, water bottles (sans water), race number and anything else I will be using the next day. I never run around the morning of a race looking for gear. 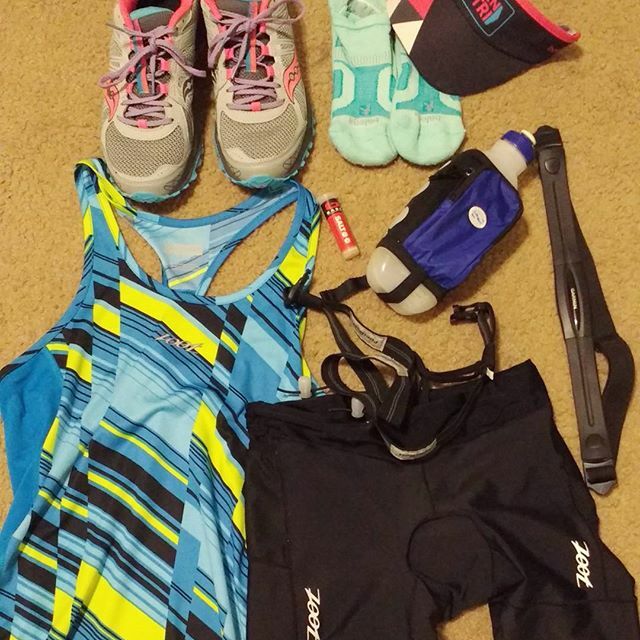 Check below for a list of my typical race gear for specific races. If you know what you’ll be eating in the morning, it’s also a good idea to get that as ready as possible. Set your coffee pot on a timer, put the oatmeal you’re making out on the counter with your banana, etc. Race Conditions– Be sure to keep an eye on weather conditions! I double check the weather the day before an event, even in the middle of the summer. I also check the race site or social media just in case any last minute changes have been handed out. Course and Rule Familiarization – Double check the course map and go over the rules one last time the day before the race. Knowing that I know everything I can possibly know about my upcoming race keeps my mind at ease. *Pro-tip for the extra neurotic – Check the race organizer’s social media for details on previous races, Google blogs with race reports from previous years and check out YouTube to watch previous years races. You’ll get a good view of the course, how the race is run and maybe some of the competition. Packet Pick-up – If your event has it and you live close enough I highly recommend going to packet pick-up the day before. You’ll get your bib, packet and race goodies ahead of time and will get to skip that part of check-in on race day. This can save a ton of time for big races. Just don’t forget your race number! Hydrate – The day before a race I pre-hydrate. Keep drinking until your pee runs clear. Drink a bit of your favorite electrolyte drink. My current favorite is Nuun for pre-race. I like to drink GU Hydrate during races, but don’t need those readily available carbs the day before so I stick with Nuun. Food – Eat a good amount of food the day before your race. Up your carbs, but nothing crazy! I aim for 65 percent when I’m carb loading. Do not eat anything new and adventurous the day before a race. Stick with tried and true meals. If this is your first race, eat whatever you’ve been eating before your long run days. Alarm – I set two alarms for my morning wake up. One I put on my nightstand, the other goes off 5 minutes later in a spot that is at least 20 feet away from me, so that I have to get up to turn it off. Make sure you give yourself adequate time to eat, get ready and use the restroom. Charge Up – Don’t forget to charge your watch and/or phone before your race! There is nothing worse than waking up race day to find a dead gps watch. Sleep – If you’re like me and easily excitable it’s best to get your optimal pre-race sleep two nights before your actual race. I make sure to get 8+ hours that night and take a nap the day before my race. The night before a race, I take a melatonin or Benadryl (careful, make sure you know how your body handles these before experimenting before a race). If you have trouble sleeping, try some binaural beats or meditation audio streams. A glass of wine can also help. I also keep a notepad by my bed and a big glass of water. Anything I remember as I am trying to drift off to sleep, I immediately write down so that I’m not worrying about forgetting it in the morning. Nothing New on Race Day! – This is the MOST important rule. I cannot stress this enough, do not try out a new pair of shoes, race kit or nutrition on race day no matter how tempting it may be. I ignored my own advice recently and wore a pair of barely used running shoes to a tri and ended up with numb toes and blisters. It was the worst run I’ve had in years. Just say no to new on race day! Notifications – As soon as I wake up, I check the weather, race site and traffic conditions. Eat – Always eat breakfast on race day. Aim for something easily digestible that will sit well with you. My standard pre-race breakfast is a oatmeal and a banana. I usually save my coffee for post race and go with a caffeine or green tea pill in the morning with a caffeine amount equal to that of my normal cup of coffee, so I don’t shock my system. Make sure to drink some water too! Gear Up – Your race day gear should be neatly laid out for you from the night before. Gear up, and start going over your checklist as you pack everything in your car. Don’t forget your sunscreen! Check-in and warm up – I aim to check-in 30 minutes to an hour before a race depending on the type and distance. For triathlons I like to be there at least an hour early to set up my transition and wriggle myself into my wetsuit. For shorter road races, 30 minutes will do. Don’t go into a race cold! You might think you’re saving energy, but you’re just setting yourself up for an injury. 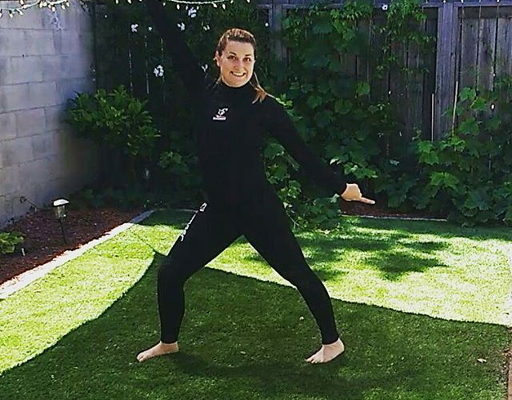 Do some sort of warm-up and light stretching before your race. Rituals – If you’re like me you have a few race day rituals, that help you calm down and get into the right frame of mind. Maybe it’s a favorite song, warm-up routine, texting a family member or like me, a snack. I gulp down a strawberry applesauce about 15 minutes before every race. This ritual goes back to my high school soccer days. I’d have a cup of it before every game and always swore it made me play better. I’m not sure if it helps me race better now, but why break tradition? Besides a few extra carbs can’t hurt. Enjoy! – All of the hard work you put in is about to pay off. Enjoy your race and ham it up for the cameras! Don’t forget to smile when you see a photographer and thank the volunteers as you move along the course. 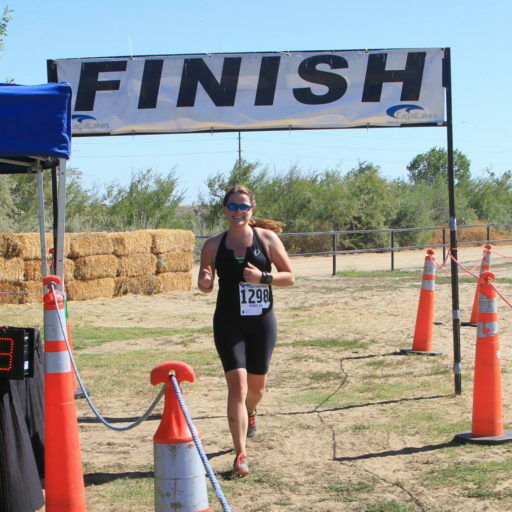 Whether your first or the DLF enjoy the race, you earned it! Emergency – I tuck a few Tums and Advil in my race belt or kit before every race, just in case! Tech – GPS Watch, Road ID, Heart Rate Monitor. 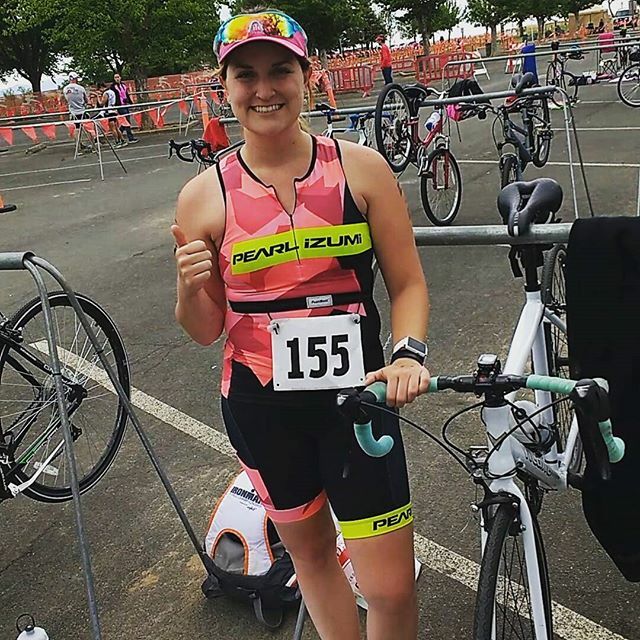 Post Race – Extra socks and top.